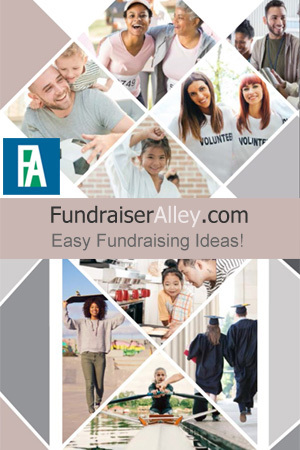 Here at Fundraiser Alley, we offer many different fundraising products and order-taker brochures. Once in a while I come across one that really hits me as the perfect fundraising choice for a certain age or group. 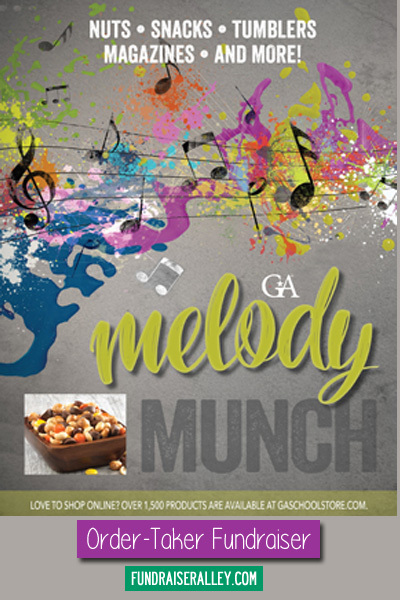 This is the case with the Melody Munch order-taker brochures. I really love these and think they are perfect for the Band, Chorus, or Music Club, but would also work for any high school club and even for the entire high school. Usually, in high school, it’s the clubs and sports teams that do the fundraising, and not the school as a whole. If your band or chorus group is looking for a great fundraising idea for this Spring, consider this brochure. You will be amazed to see that it includes stainless steel tumblers featuring BAND and CHOIR, as well as a music themed charm necklace. 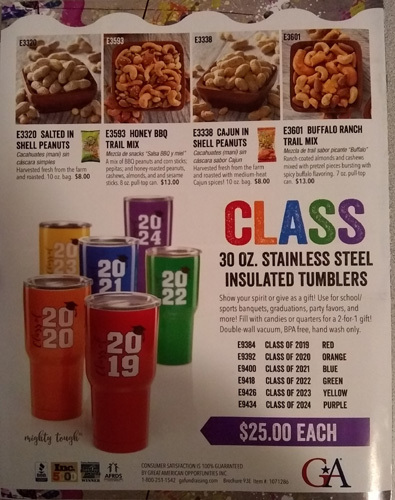 Other items are also student related including Class of 2019 tumblers, popular magazines, and a variety of nuts and snacks. You can’t go wrong with this brochure, it has something for everyone! Call (866-826-0944) to order your FREE brochures and get started! See more info below. I Love the Choir and Band Tumblers! Perfect for Band, Choir, and Any Music Fundraiser! I love the Stainless Steel tumblers included in this brochure on Page 2! 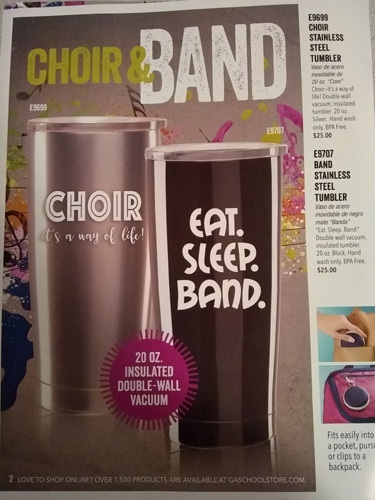 Tumblers feature wording: “CHOIR – It’s a Way of Life” or “EAT. SLEEP. BAND.” choices. These are 20 ounce insulated, double-wall vacuum tumblers. These make this brochure perfect for a Band, Music, or Choir fundraiser. 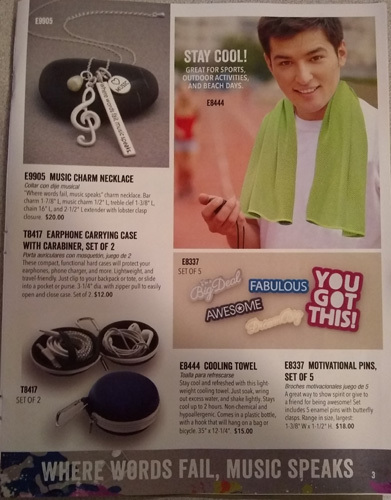 Another great feature of this brochure is the Music Charm Necklace on page 3! This will be a big selling item for your fundraiser. Other products students will love are the Earphone Carry Case, Cooling Towel, and Motivational Pins. You’ll also find a large variety of nuts, snacks, and magazines. Plus, to round it out, and make it the best fundraiser ever for students, are the Class of 2019 Tumblers!